Watch birds, sharks and 'cudas! Sea gulls, pelicans and herons fly low over the flats and will often cause bonefish to spook or at least create a detectable, if subtle, dab of nervous water. 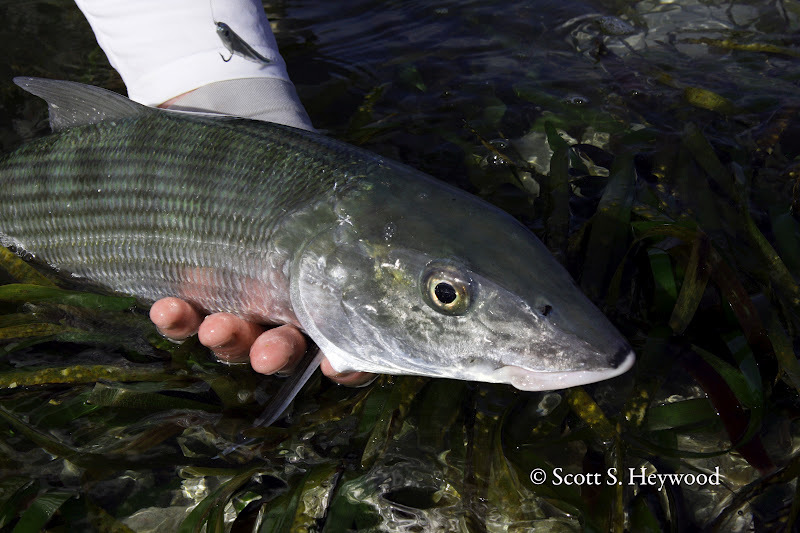 Even a slight shudder can betray the presence of a bonefish and help you immensely by focusing your attention on a particular spot. An osprey will actually take you right to the fish. 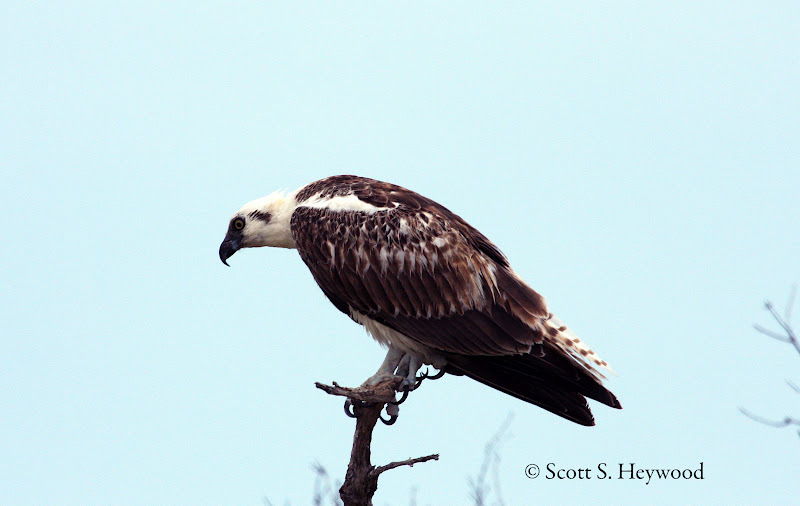 Osprey will often hover over a school and will almost always cause bonefish to spook a bit giving you a welcomed shudder of nervous water. Also watch sharks and 'cudas. They both push bones and also give you a clue as to their location. Even a small shark will cause bonefish to move out of the way. I just recently received this trip report from Chris Finlay on the Long Caye Outpost operated by Belize River Lodge. Sounds like a great trip... I thought it was interesting and that everyone would like to see it. Thanks Chris! What I look for in a good fishing trip is easy travel, being remote without being uncomfortable, and really good fishing. As a self-employed, father of four, time is a premium and there is nothing worse than wasting four or five days with a bad trip decision. 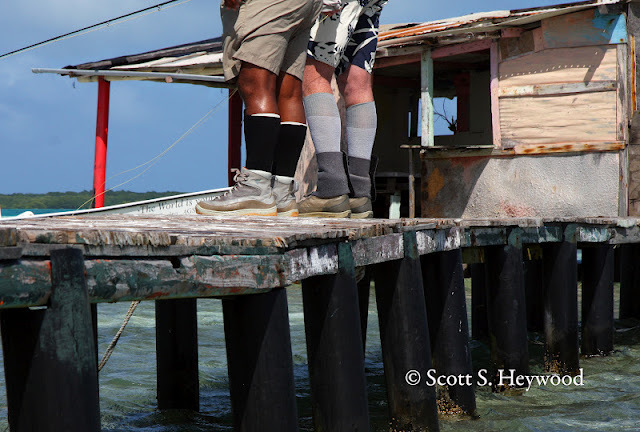 I recently returned from a really good trip to the Long Caye Outpost of Belize River Lodge with a fishing buddy, Jim, and felt compelled to spread the word. When I was looking to plan my trip, I contacted my very trusted friend, Scott Heywood of Angling Destinations for recommendations. He understands my skill level, schedule requirements, and fishing preferences and has always made the perfect recommendations. Scott is a relationship guy who has been virtually everywhere in the fishing world and really takes pride in putting his clients in the right situation. This trip continued his perfect track record in this regard. First off, Belize was really easy to get to from my home near Washington, DC. I left early in the morning, and arrived in Belize City at 11 am. 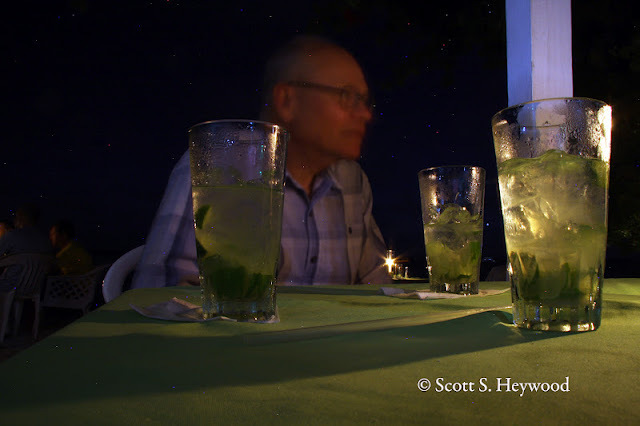 As soon as we walked out the door, Mike, the owner of the Belize River Lodge, was waiting to whisk us away. The airport was efficient... bags came out quickly, and customs into Belize was simple. 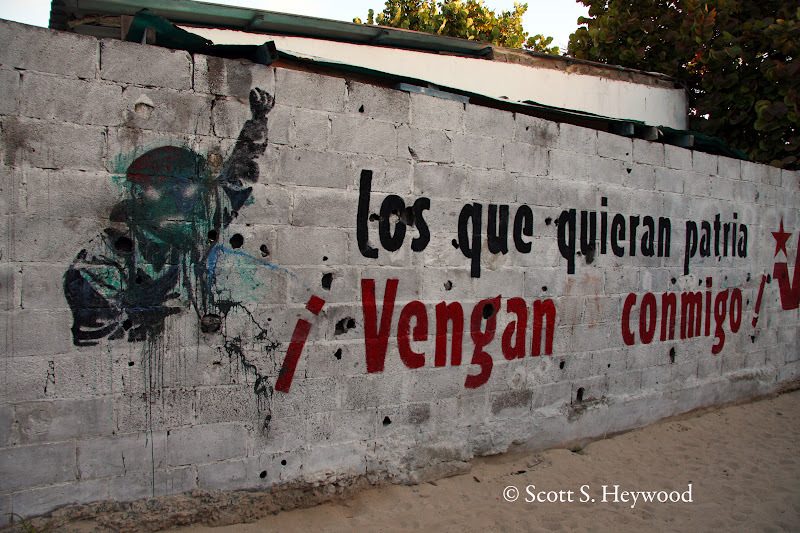 The people were friendly and were obviously happy to have us visit their country. Five minutes from the airport and we were at a boat ramp where a Panga was waiting to take us across the Belize River to the main lodge. When we got to the lodge, Raul, our guide for the trip was waiting for us and ready to go. We handled the admin part of the trip up front with Margeurite, Mike’s wife, grabbed a couple recommended flies, just to be safe, and we were all set. We changed into fishing clothes, packed away our travel gear, and assembled a couple rods. Within an hour of landing, actually landing in the plane, we were in Raul’s boat and heading to fish. Our first day was overcast, but with little wind, so we headed to the mangrove flats to target snook and bonefish on our way out to Long Caye. We decided that we would be better of fishing our way out with our gear in the boat, which is plenty spacious to accommodate the extra baggage, rather than simply take the hour boat ride out, drop our gear, and then fish. We were glad we did. Jim kicked it off and by one o’clock had landed a bonefish. Not real big, maybe 2 pounds or so, but nice and feisty, and provided a couple good runs. 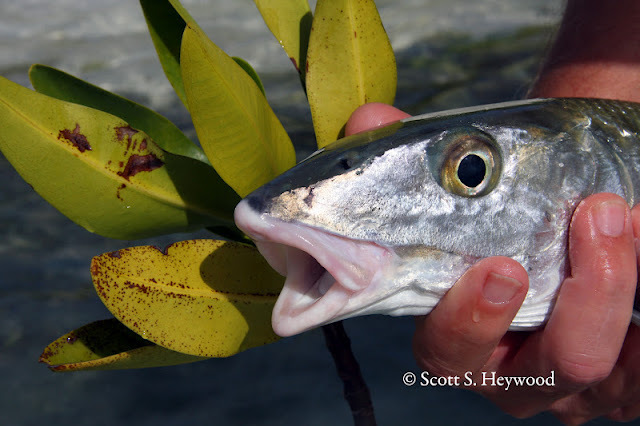 After that fish, we pushed on and I was able to target a couple snook hiding under the mangroves branches shading the water. Casting into the mangroves reminds me almost of small stream fishing where you are trying to make quiet casts into pockets with overhanging mountain rhododendrons. In short, it is tough to get the fly deep enough under the branches without slapping the water with the line and fly to scare the fish off. Despite my generally mediocre attempts at this, the Puglisi Everglades fly coaxed the Snook out with an aggressive take. 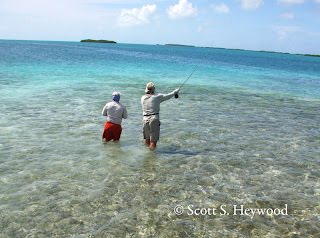 The real challenge came in getting the line on the reel without letting the fish get back under the mangroves and tangle the line on the countless branches and roots. Our first day continued like this with us each landing several good fish. We ended the day casting to some resident tarpon. They generally snubbed our offerings, but I was able to jump one tarpon as the skies darkened. We fished until it was almost dark and we were forced to make the final 10 minute run to the Outpost Lodge. By the end of the first day, I was already amazed at the quality of the fishery. Not to mention that we got almost 5 hours of fishing time in on our travel day. As we pulled up to the dock, Kevin was there to grab gear and show us to our accommodations. Mike, the lodge owner, indicated that he was trying to determine whether to call the Long Caye operation either “Long Caye Island Resort” or “Long Caye Outpost”. I think that Outpost is definitely a more accurate description. The “lodge” is made up of a guest house with three bedrooms (each with two twin beds), 1 bathroom, and a common living and dining area. The bedrooms and living area are not large. Since we were the only ones at the Outpost, we each had our own room and were quite comfortable. However, it would be tight to share a room with gear for a week, but doable since we were hardly there other than to sleep. I would also say that the accommodations would be very crowded and potentially uncomfortable with 6 people there unless it were family or good friends. 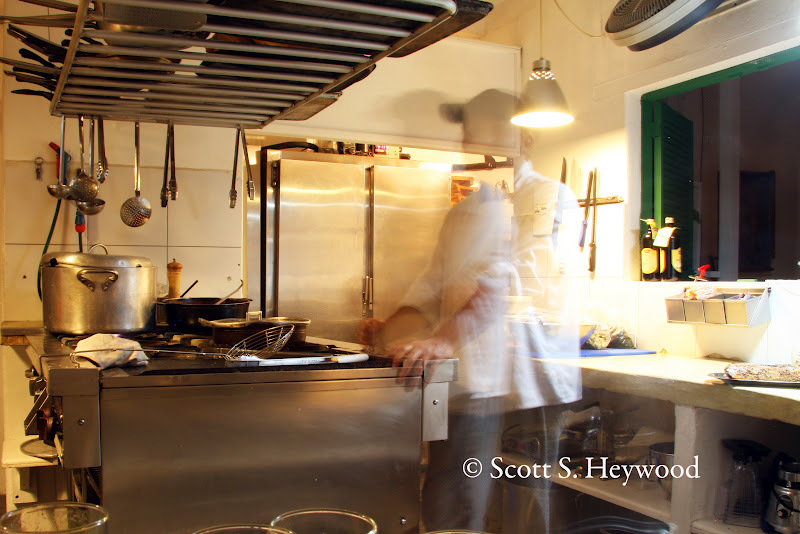 In addition there is a kitchen and staff quarters and a guide shack for staff. The grounds were nice and picked up, and the facilities were clean. Arita was our cook and she did a very nice job on pretty basic comfort food that stuck to the ribs, and always served with a smile. Kevin, the camp manager, was also great. He would grab he rods at the end of the day and rinse them off, kept the place going and generally was helpful in any way. All power was from a generator that ran the entire time we were there to ensure we had power for fans and lights and electrical sockets. The only real negative of the lodge for me was the fact that my cell phone worked there. All in all, the Outpost is not fancy, but the location is awesome and really provides about an extra 2 hours of fishing each day. I will trade fancy food and accommodations all day for better fishing, but in this case, we really didn’t sacrifice much either way. For the next two days, the weather was beautiful and we primarily targeted permit out at the reef and tarpon along some of the ocean side mangrove flats. There were no shortage of fish in any of these places and our success was only limited by our inexperience fishing to these species. In particular, the tarpon proved a challenge to get the strip set successfully, but we had numerous strikes and jumped a couple. Jim in particular had great success with his black and purple Puglisi Peanut Butter fly but they simply proved elusive to the hookset for us. As I mentioned, our guide was Raul, the head guide at Belize River Lodge. He was the consummate pro. He must have gotten frustrated at times with our missed opportunities, but he never let us know it. He has a great attitude and was a lot of fun to be around and fish with. He worked tirelessly poling us around in his Panga against the wind, against the current, and always seemed to have the boat positioned properly to give us the best shot at the cast. 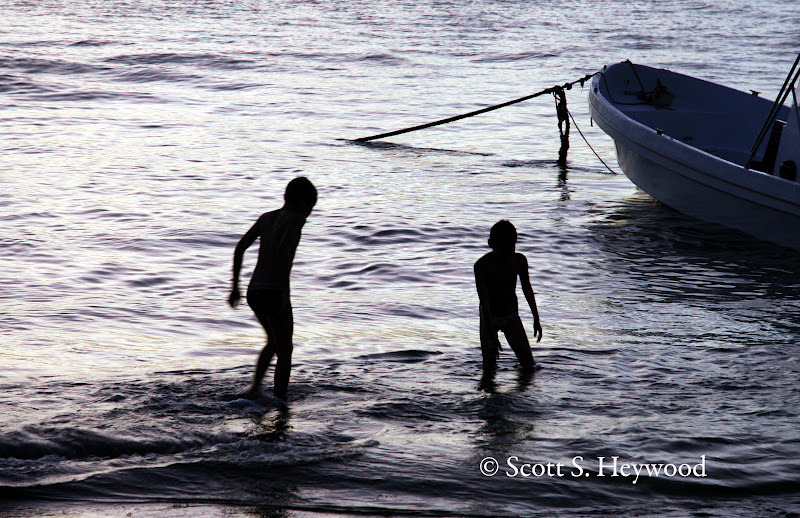 What struck me as perhaps the most differentiating is that if he missed seeing a fish that we pointed out, instead of making an excuse, he simply stated that he did not see it, or was looking in another area. To me, his honesty really fit with his whole personality. The other notable point to make is that we fished long hours. We would leave the outpost by about 7 and did not return until almost 6pm when it began to get really dark. 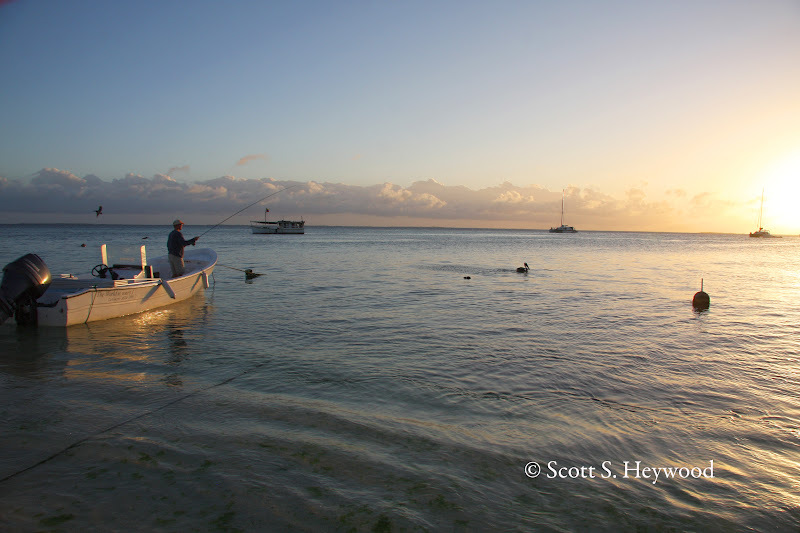 Since we began fishing about three minutes from the Outpost, we really could maximize our fishing time. It was really amazing if you think in terms of time fishing. It is like adding an additional day of fishing time in a three-day trip. My personal highlight of the trip came as it was getting dark on the last night of our trip. 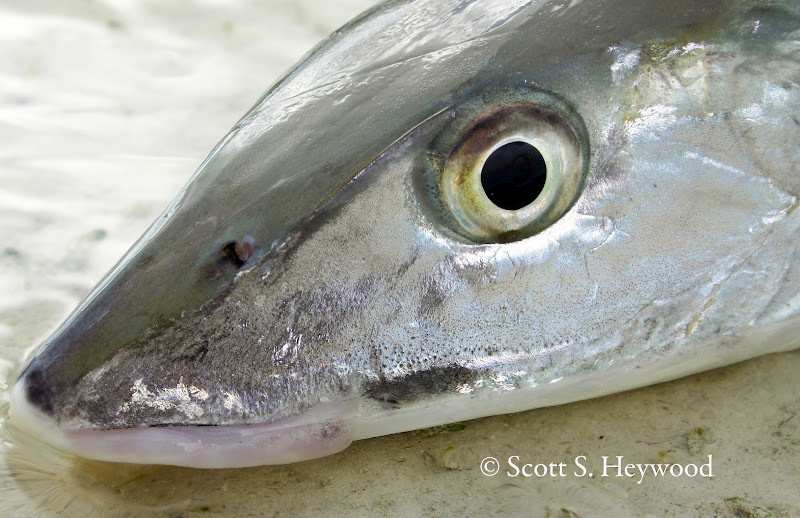 We were back to a spot close to camp that we had routinely seen tarpon up on the flats right next to a deep channel. Up on the flats they seemed only mildly interested in feeding, instead choosing to head to the channel to feed. 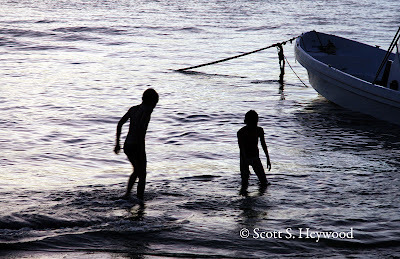 It was as if they were mocking us rolling out in the channel after they leave the flats. We could not reach the fish from the flats. So, Raul positioned the boat out in the channel and dropped the anchor so that we could have real shots at getting to where the tarpon were rolling. I started throwing a Black Death fly, which got looks and a strike on the flats, but seemed to get no interest in the deeper channel. Raul looked at my fly box and selected a chartreuse and white Clouser type fly (on steroids with big lead eyes and a 3/0 hook). Within a couple casts into the channel where the fish were rolling I was able to get a strong strike and a solid hookset. It is simply amazing to see a fish this big to jump and run and fight like it does, (and this was just a relatively small tarpon.) After numerous jumps and runs, I finally landed the fish after about 25 minutes. As it began to get tired and was closer to the boat, it made no less than a dozen passes under the boat giving its last effort to get away. I can now tell you that I am addicted to tarpon fishing for life. Our final morning, Sunday, we woke up, having packed our gear the night before, and had a nice breakfast. The sun was mostly out, but the wind was kicking pretty hard. We had a leisurely breakfast, finished packing, said our goodbye’s to the staff, and loaded our gear for the hour trip back to the lodge. Our flight was not until 3:30 to head back. We thought our flight was earlier so we poorly managed our day. We could have easily gotten another half day of fishing in. Alternatively, there are Mayan ruins within 30 minutes as well as Rainforest Zip Lines and floating underground rivers with headlamps, all three of which I intend to do on my next trip. 1. Access was easy and fast. 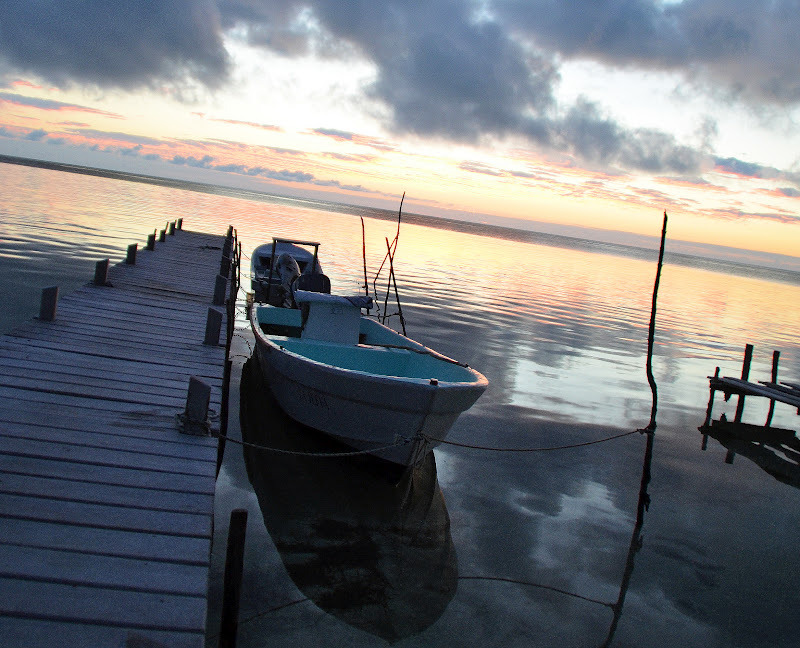 The fact the Belize River Lodge is only a few minutes from the airport is key. Also, the great attitude and efficiency of the airport and customs staff in Belize is in my experience wholly different from the Bahamas, and made getting out of the airport a quick pleasure. A Thursday to Sunday trip would easily allow 2 full days and 2 long half days of fishing. 2. Raul was a great guide, perhaps the best all around that I have had the pleasure to fish with. He worked long hours with a smile on his face. He provided good instruction on casting tips and knew where to find fish in all conditions. 3. 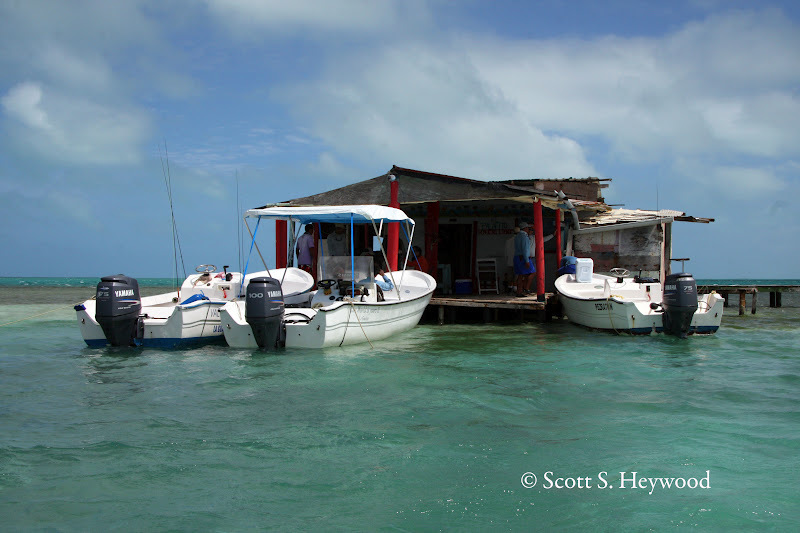 The Long Caye Outpost was comfortable and right in the middle of great fishing. I think it added almost 2 hours to our fishing day to stay there rather than the main lodge. For two of us, it was spacious and very comfortable. The staff is very friendly, the house was clean, and the food was good. 4. The variety of fishing options is unlike anything I could have imagined. I can see how a better (or a little luckier) fisherman could have real opportunities for grand slams and super grand slams. The fish were everywhere in good numbers. Even permit were routinely spotted, both out at the reef, along some of the beach areas, and on the flats. The Long Caye Outpost is a relatively new offering for Belize River Lodge, and I think a very positive option under the right circumstances. I strongly recommend this trip.I am personally looking forward to getting back down there with my sons (ages 13 and 11), not to mention that this may be my new favored long weekend getaway. He can cast with both arms... and one leg. He doesn't look for fish, they look for him. He always leaves fish to find fish... and finds fish. He doesn't tie knots, they tie themselves. He has caught fish in destinations he has never visited. He can fool all of the fish all of the time. He has fished on nine continents. He removed a hook from a man's forehead using a toilet plunger and a pat of butter. His enthusiasm is so contagious, vaccines were made for it. He was once skunked, just to see how it feels. He fishes vicariously, through himself. He once caught a tarpon using dental floss and a bottle cap. Lefty Kreh calls him for advice. His bucket list says "done". For fishing questions, google googles him. For him, they call it catching and not fishing. Jeff tossed me a small zip-lock filled with Jolly Ranchers. I tucked the candies in my shirt pocket as Stanford slid the throttle forward. 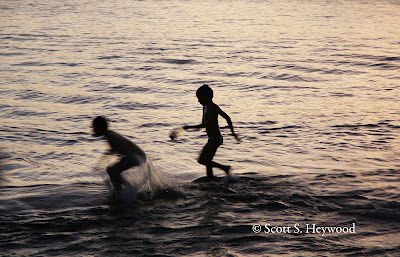 We streaked towards shore. The 4-stroke was barely audible on this soft morning. We motored up a creek and soon Stanford cut the engine. 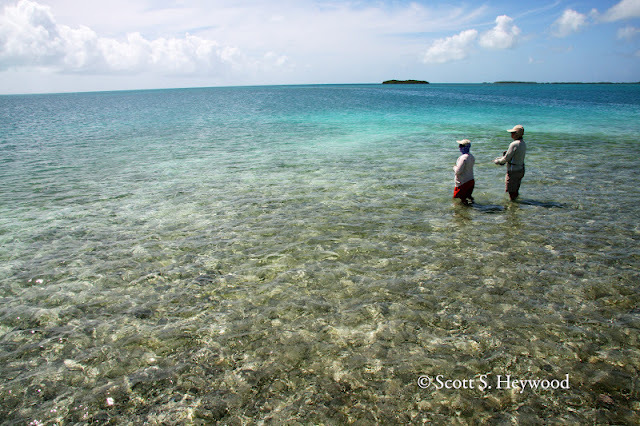 I could see bonefish scattering in five feet of gin-clear water that was quickly draining over a mocha-colored bottom. The sky was overcast with rain clouds scudding in from the west. The tide had just turned off high and a light wind slightly scuffed the flat. 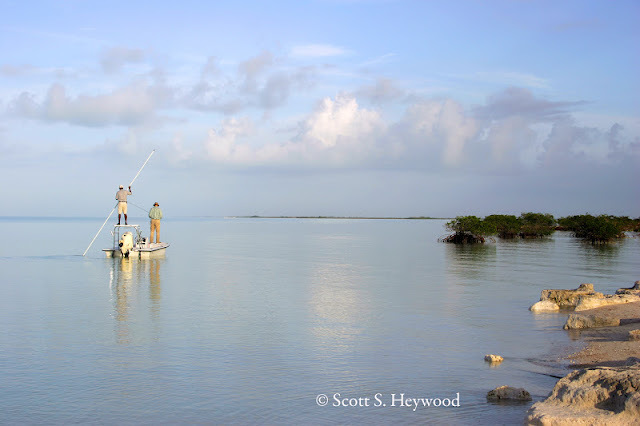 These were poor conditions to find bonefish so we sought the lee of an island where we had a small "window" of calm water augmented by better visibility due to the reflection of the dark mangrove bushes. We hoped to see fish in this narrow ribbon next to shore. I hopped out of the boat and waded along the edge of this low, mostly submerged, cay. I waded quietly over a hard coral bottom riddled with crab holes. Brian waded north along the other edge while Larry went with Stanford to pole another small cay. 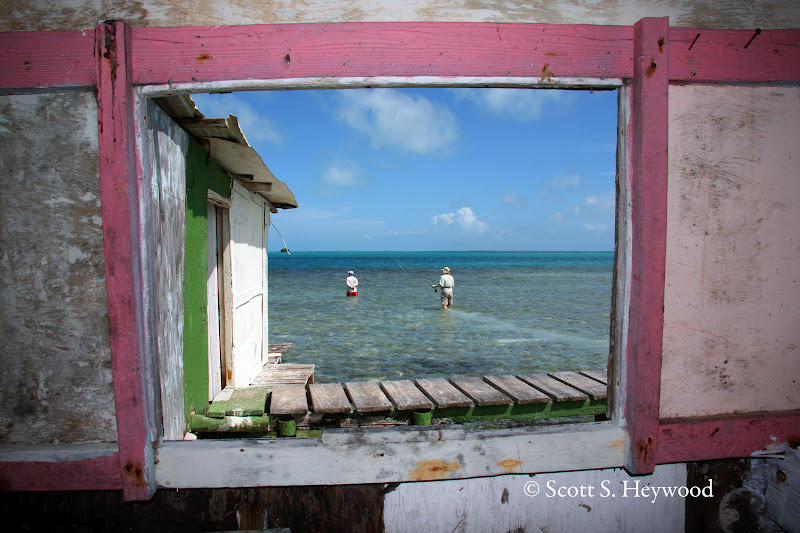 I immediately spotted a small bonefish in the calm window. He was fearless and aggressive and pinned my fly to the bottom almost the moment it hit the shallow shore water. "Maybe this won't be too bad." I thought as I reloaded and watched the released 3 lb. bone swim away. 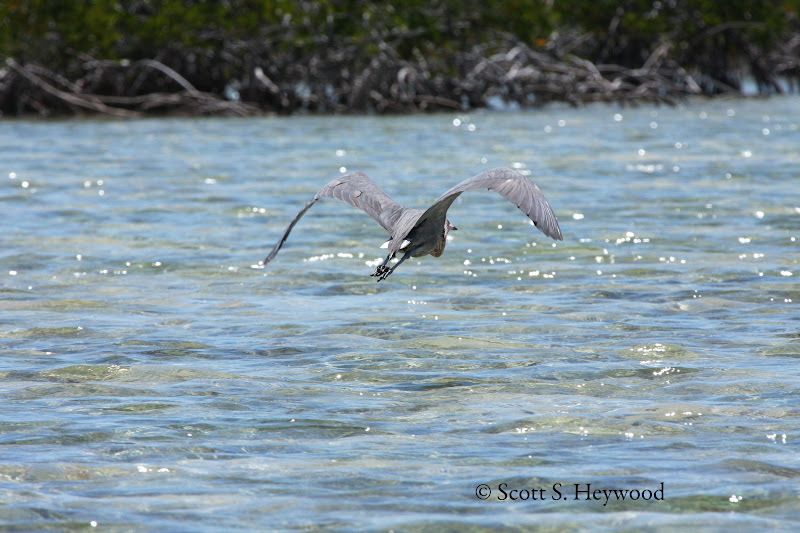 As I lost track of my previous catch, I spotted a small disturbance a few yards back in the mangroves. A big tail spiked up, then flapped over comically as mud roiled at the base of a small mangrove shoot. I followed the tail as it disappeared only to see it poke up again a few feet further away in the mangroves. The bushes were too dense to even consider a cast. I popped a watermelon Jolly Rancher pausing to consider my options. I put a few additional candies in my fly box and closed the lid. Maybe I could spook him out of the mangroves. 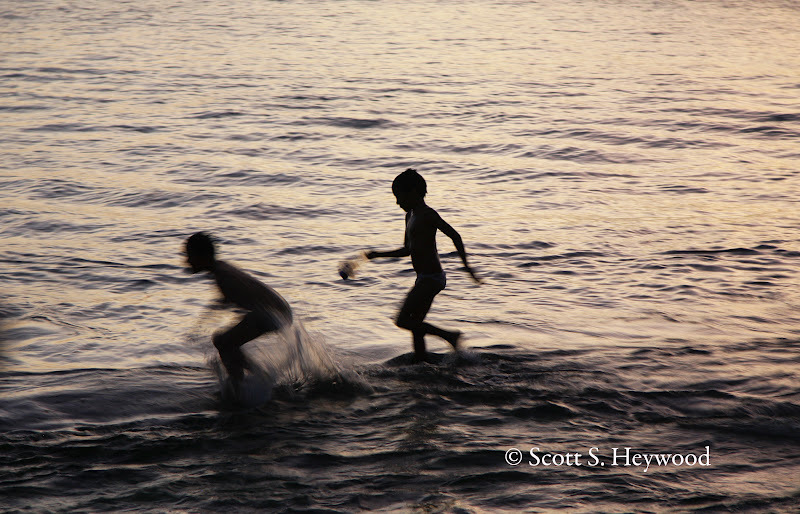 A piece of coral well-thrown might spook him just enough to encourage him to swim out... then I could get a shot. I squatted down to search for a piece of coral, but as I did, I briefly lost sight of the fish. Fortunately he tailed again. If I lost sight of the fish, a hunk of coral was of no use to me. What to do? Then a thought came to me... a thought so brilliant that I now consider it to be perhaps the pinnacle of my angling career. An idea that I congratulated myself for even before I had tried it. Emboldened by my obvious genius, I took the Jolly Rancher from my mouth and holding it like a dart, pitched it to the left and just slightly beyond the fish. At the splash, the bone darted about two feet then turned and meandered ten feet to the mangrove's junction with the calm slick. I casually flipped my Labrador deceiver (a fly tied from my dog's fur... but that's another story) and he pounced, flaring his dorsal fin as he sucked the fly back toward his crushers. I struck and he ran towards deeper water. Yes, I landed the fish, but all that was meaningless. What was important was that I was a clever little monkey. This hairless ape had devised a new angling technique... the Jolly Rancher Flanking Maneuver and I was a smiling mass of self-congratulations, laughter and pure homo sapien piscatorial pleasure. I donated another Jolly Rancher further down the shore and it worked like a charm with similar results. This one was grape. I really think any flavor will work, but remember, if considering the JRFM, please remove the wrapper first. Here is an excerpt from the trip report on our recently completed adventure to Los Roques, Venezuela. 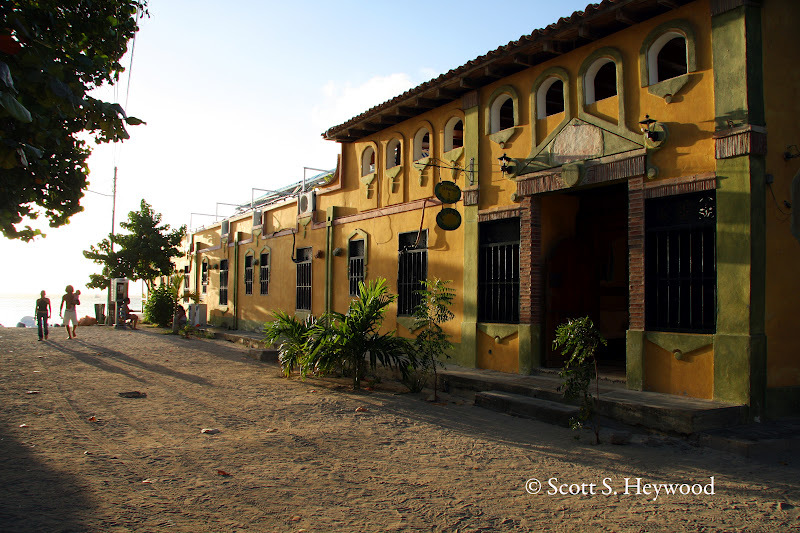 ...My favorite flats are the pancake flats and they are why I come to Los Roques. These flats rise like a string of pearls from aquamarine, cobalt and turquoise channels. Pancake flats are impossibly beautiful places and there are hundreds of them in the archipelago. A typical pancake is usually from one or three acres and takes a little under an hour to fish. It’s not hard to see how they got their name. Most pancake flats are not perfectly round. They look more like homemade flapjacks formed from too thin a batter. The colors too are reminiscent of pancakes. Like freshly flipped ‘cakes they are predominantly golden brown with shades of amber and vanilla. To exhaust the analogy, blueberries would be the turtle grass patches and almonds would be the crunchy patches of brittle coral. 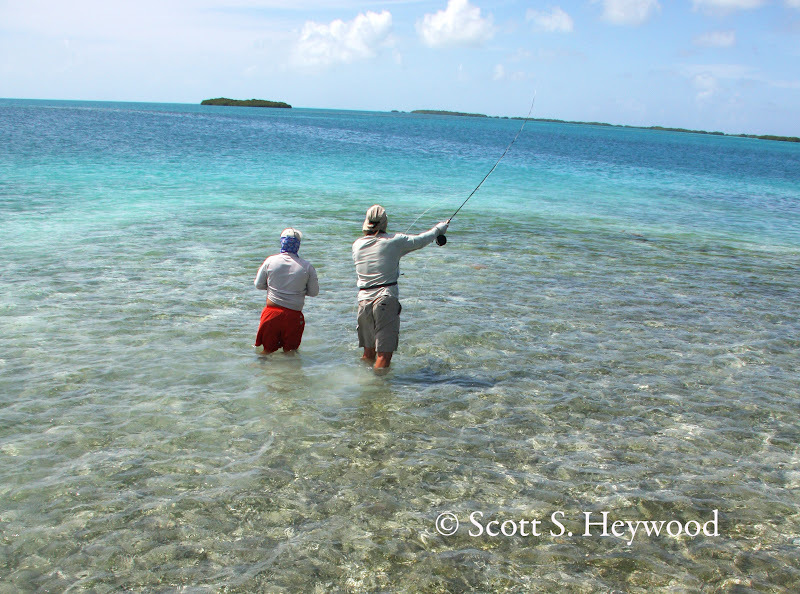 Anglers often seek a pancake’s sandy spots as bonefish are more easily seen here, but the darker turtle grass can be prolific. 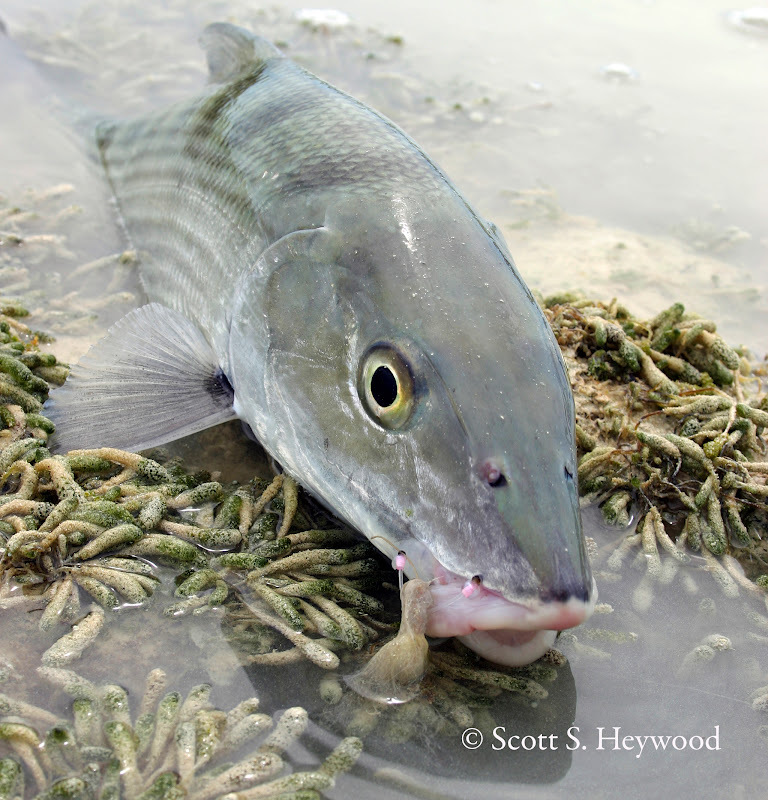 Bonefish often tail where mud can be excavated, but the water can be so shallow on a pancake flat that a bonefish tail simply is seen... they are not officially “tailing”. Small brown and green crabs and root beer or amber colored crustaceans form the template for the patterns of choice. Small flies in #6-8 with rubber legs (especially the new banded micro legs) and little flash hold meaning. Bring your Bahamas assortment and you’ll wish you checked a bit more deeply for appropriate patterns. The bonefishing in Los Roques can be fantastic, but it often is not easy. The fish are big and smart and anglers from all over the world love Los Roques. (Some of the anglers we met at the Acuarela were convinced that Los Roques had the best bonefishing in the world. Although I could make a case for other destinations being the “best”, their passion for Los Roques is typical and anglers have a tendency to come back again and again.) There are times when the fish seem to eat every properly presented fly and other times when “bitchy” seems to be the appropriate word. Visiting anglers should expect to listen to their guides, but yet tell them what they want. This can sometimes best be done by communicating with the highly competent owner/outfitter Chris Yrazabal during dinner the night before when guide assignments are made. And speaking of guides, each guide works with a boatman. When you finish up with a flat, the boatman is signaled to fire up his motor. Soon, he is there to pick you up so no time is wasted walking back to the boat. The guides use comfortable 28 foot pangas that swiftly carry you from one flat to another. These chop cutting, very dry craft also have a bimini roof that allows one to escape from the midday sun.